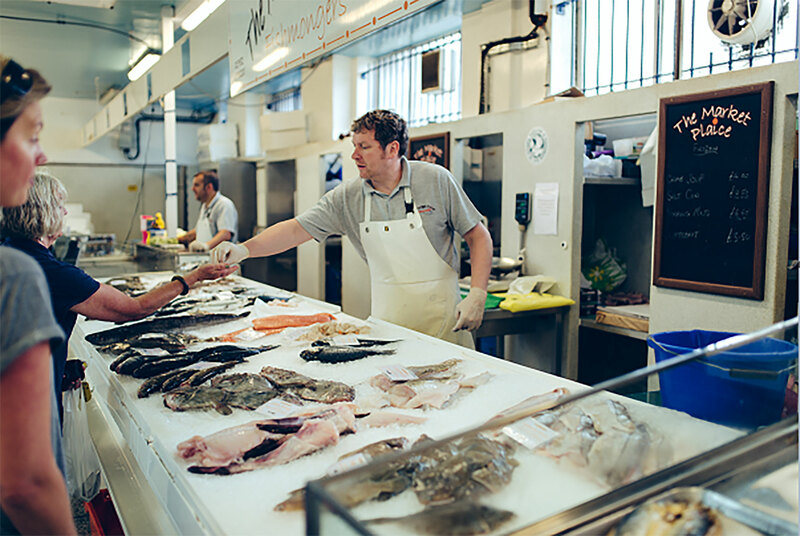 The Market Plaice Fishmonger is a traditional wet fish stall selling local fresh seafood sourced from Plymouth and the South West, as well as top quality fish landed further afield. The majority of fresh fish is bought on the doorstep from Plymouth Fish Market on the Barbican. Buy your fish whole or scaled, cleaned, filleted and boned by experienced fishmongers – the choice is yours. Live crab and lobsters available in season.